Battle of the lululemon shorts… Which is better? Well I’d like to start off by saying I am not a shorts-kinda-girl. Pockets? BOTH have em: Fast Track shorts have a zipper pocket on left leg and zipper pocket on back of waistband. Shorty shorts have flat non-zipper pockets on both legs, plus classic back-waistband zipper pocket. Winner? Shorty shorts. The pocket is angled, easily accessible, and fits my iphone. Okay, maybe they aren’t that short but I still can’t help myself from pulling them down… constantly. Not because they ride up, just because I can’t help it! Fit? I sized up from my normal lulu size in both pairs. They fit comfortably under normal circumstances. During a workout- they tend to loosen up in the waist… Leading me to believe this is the battle everyone fights in workout wear. TIght enough to stay up/support vs loose enough to be comfortable? Ugh. Overall? If I had to, had to pick- I’d go with fast track. But I wish I could combo them. 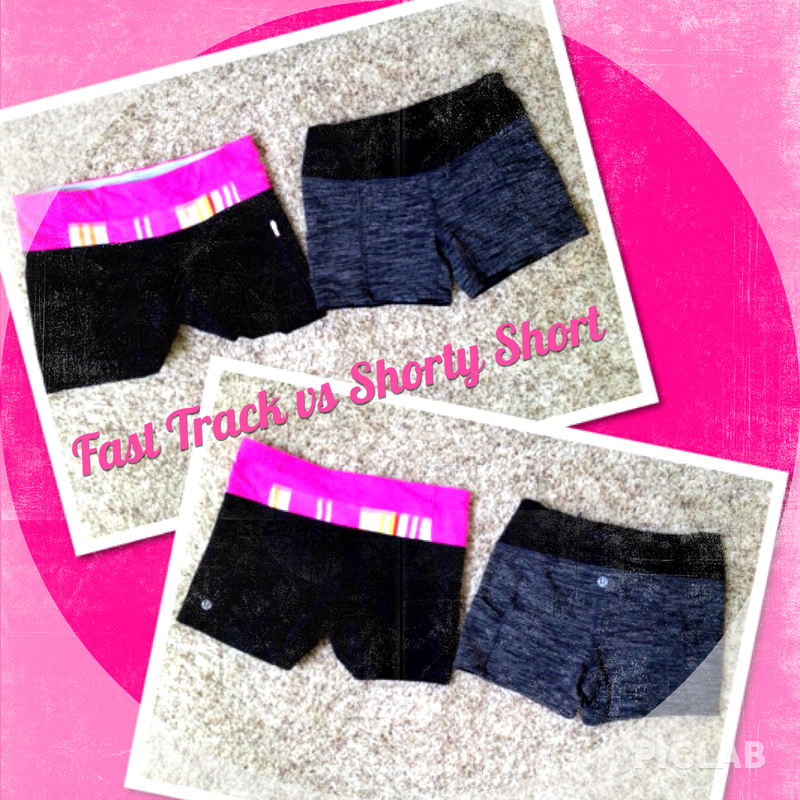 I love the pockets on the shorty short, but love the luon and slightly longer length and non-grip hem of the fast track. Ultimately, I probably should just skip both! They’re great items, just not for me.